These sessions are nice for those if you’ve been feeling out of sort lately, having an issue that continually returns or an issue that no one else’s seems to have an answer to. If these are some issues you are feeling, then the Body Code might be the path you need to take. The Body Code uses the power of the subconscious mind in tandem with muscle testing and a mind mapping system called the Body Code. This energy work allows a way to communicate energetically to shift imbalances and misalignments in order to help restore healing, balance, and harmony within your body. These energy work sessions can be done in-person or if you don’t live in the St. George, Utah area, it can be done via email correspondence both are just as effective as the other. The beauty about the Body Code energy healing work is it’s not about what has happened to someone else, or this is the norm, this healing energy work is about YOU and only YOU. It communicates with you, your needs, what you need to be unwound, in the order that needs to be released and what you need to be healed at this time in your life. Each session comes with a written report of the session. I’d love to assist you in your healing journey. Many people have used the Body Code for body pain, fears, and blocks relating to money, relationships, and personal growth. From the outside, it seemed as though I had a great life. But on the inside, I was suffering. It was hard to explain. I just didn’t feel right. I spent a lot of time in therapy trying to talk through the issues. It helped but never gave me peace. I was still fighting a battle. It still felt like all the old emotions were just bouncing around in my body causing problems. I was very open to energy healing work when I heard about it. Wil worked on me remotely with the Body Code and Heart Wall Release methods. It took quite a few sessions to help me. Wil would send me an email, after he did a session, and explain all that he had found. The interesting part, I could always trace back to the days he did the sessions because my emotions would be off for a day or two, trying to adjust. The energy healing work didn’t help immediately. I think it took time for my behavior to shift with the shift of my emotions and energy. I can honestly say, that for the first time in years, I feel peace. My life flows better because I am actually able to go with the flow and not feel like I am fighting a battle. I would recommend the Body Code and Heart Wall Release to anyone willing to have an open mind about energy healing and is ready for a change. If you’re noticing that your pet is struggling or having difficulty performing daily activities. If your pet just seems to be out of it lately, or if you’re looking for an alternative way to keep your pet’s health and wellness balanced this form of energy work might be a good match for your pet. Animals are very energetically sensitive to their surroundings and who they’re around. For many, they haven’t lost that extra heightened sense of energetic awareness that most humans ignore or brush off because they can’t physically see, hear or touch it. Like humans, most animals respond well to this body balancing work. The body is always in a state of striving for good health and wellness. When outside influences, such as negative emotions or physical traumas occur from strong events like a fall, confrontations or abuse, these may create imbalances within one’s physical and/or energetic energy fields. Most of the time the body can naturally correct itself of these imbalances, but other times these imbalances stay trapped in the body and may create chronic pain, tension, illness, and/or irregular mood swings. Body Code Balancing allows Wil Adams’ energy field and your pet’s energy field to communicate in conjunction with surrogate muscle testing. Your pet’s body/energy field system (body/system) actually knows all the information it needs to heal itself, but for some reason has become too imbalanced to make those corrections on its own. That’s why Body Code Balancing is important for pets. 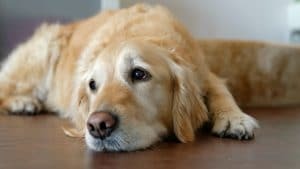 When working with animals, the Body Code Balancing allows your pet’s energetic body/system to relay information to Wil energetically on what would be the best to assist their healing process and to get them heading on the correct path to becoming self-efficient in maintaining a state of well-being once again. Body Code Balancing for pets uses the mind map Body Code system to help your pet in achieving the best healing results. This mind map system allows your pet’s subconscious to energetically relay information, and in conjunction with muscle testing will help to unwind imbalances that are creating issues within their body. These sessions are provided remotely/from a distance by email correspondence, so you can live anywhere in the world and since your pet’s energy field is pure energy an energetic connection can be made. Each session comes with a written report of what was worked on during that session. Based on what your pet’s body/system indicates during the session, it may suggest additional sessions, other therapies, nutritional needs, etc. to achieve the state of health and wellness he/she needs. Work will only be provided for the amount of time your pet indicates since this work is a powerful holistic healing tool, your pet’s body/system will indicate when it has had enough work for the day. Typically, each session averages around 30-50 minutes. For some imbalances, it may take a few sessions to resolve one the imbalance issue. NOTE: Like in humans, if your pet has a disease or cancer your pet’s body/system may not recognize it as such. Instead, most likely, it may recognize the imbalance(s) that could possibly be creating an illness. The body/system is an amazing, yet do realize this work is to only to assist in bringing about balance, so the body can heal itself. My experience with the energy healing work that Wil Adams has done and continues to do for our dog Bayley is exceptional. Bayley has struggled with arthritis for years. He has been on a myriad of pharmaceuticals and supplements for quite some time. In April 2016, he was really struggling, he had been doing acupuncture, hydro-physical therapy (underwater treadmill) as well as cold laser treatments. He did start to improve. Then it was suggested we try doing some energy healing. Wil started the sessions remotely and sent weekly reports. The first week we saw marked improvements. Bayley started “miraculously” meeting us at the door when we returned from being out (just like old times). This continued for several weeks following the energy work Wil had done. We are happy to say our Bayley is now very mobile and is getting around with ease. We can’t thank Wil enough for the work he has done with our Bayley. Wil, you are truly one of a kind! Because of you we have our guy back! Thank you from the bottom of our hearts! You’re the best! I have always used massage to help lower the stress levels in my life. I have traveled the world and make it a point to get a massage whenever possible. Yet, I always look forward to my massage in my hometown, I believe Wil is one of the best massage therapists I’ve ever had. His intuition and techniques are exceptional.